In this file photo, Cardi B attends an event at the Barclays Center on Oct. 26, 2017, in New York City. Her hit single "Bodak Yellow" turned a city subway station into a large dance party. 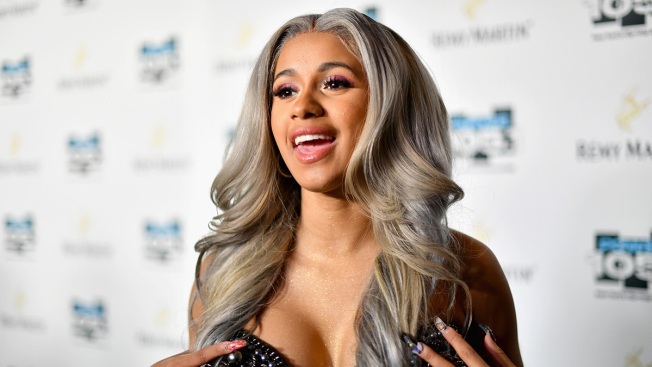 New York City rapper Cardi B has seen an impressive run of her smash hit single "Bodak Yellow" on the music charts, but she can now boast a more notable feat: She inspired New Yorkers to stop in their tracks at Times Square subway station for an impromptu dance party. It was around midnight Saturday when the song started blaring through a boombox and people passing through the busy subway corridor stopped to sing along and dance with total abandon. A bystander recorded the whole thing and tweeted: "Play 'Bodak Yellow' anywhere and a party will start, guaranteed. @iamcardib brings the people together. #nycsubway"
The video was retweeted more than 32,000 times and favorited 80,000 times in less than 24 hours.